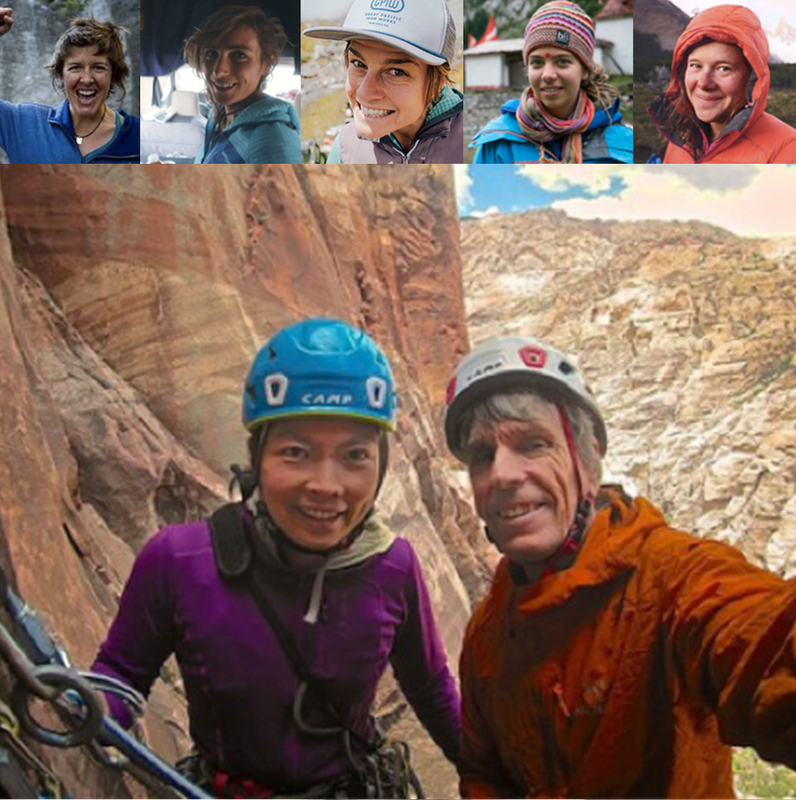 Grit & Rock recently announced six teams as recipients of its 2019 First Ascent Award. The grant, which distributes $10,000 a year for women-led expeditions, aims to level the playing field in alpinism by encouraging first ascents by women. This year's award will support climbs in Pakistan, India, Nepal, Canada and Kyrgyzstan. Mountaineer and businesswoman Masha Gordon founded the UK-based nonprofit in 2016. She told Outside magazine that 99 percent of high-altitude first ascents are done by men. Gordon created this award to address that disparity. It is a cause she's so invested in that she has committed to personally endowing the award for 10 years. The teams must be at least 50 percent female, and awards are given out in three categories: performance, exploration and apprenticeship. The jury for this year's award included Gordon, Lydia Bradey, Christian Trommsdorff and Victor Saunders. The Performance Award is for ambitious high-altitude ascents. This year two teams were selected to receive support in this category. Chantel Astorga, Anne Gilbert Chase and Jason Thompson of the US received $1,000 to attempt a new route on Pumari Chhish South (7350m) in Pakistan's Karakoram. The first ascent of the peak was made in 2007 by Trommsdorff and his partner Yannick Graziani. The pair spent five days ascending the remote peak in the Hispar Muztagh region, and Trommsdorff called it "the most beautiful unclimbed peak I know of." In 2018, Astorga and Chase made the first female ascent of Denali's Slovak Direct (5.9X M6 WI6+, 9,000'). And together Astorga, Chase and Thompson made the first ascent of the SW face of India's Nilkantha [aka Nilkanth] in 2017. Astorga also received a $6,000 Cutting Edge grant for this climb from the American Alpine Club. The team plans to attempt the 2700-meter south face where they anticipate mixed climbing conditions. Lise Billon and Maud Vanpoulle (both of France) and Caro North (Switzerland) were awarded $2,000 to try a new route on Mt. Arjuna (6230m) in the Kishtwar region of India. Billon became the second woman to receive a Piolet d'or in 2016 for her first ascent of Hasta Las Webas (ED- WI5 M5 90 degrees), a 1,000-meter route on Cerro Riso Patron in Patagonia. North made the first female ascent, along with Christina Huber, of the Ragni Route (M4 90 degrees, 600m) on Cerro Torre in 2015. The Exploration Award is for well-thought out projects, such as exploration and mapping of remote new routes. Three teams have been selected. Szu-ting Yi and David Anderson (both of the US) are receiving $2,000 to attempt the unclimbed Starikatchan (5904m) in the Zanskar Valley of India. The husband and wife duo have previously established a new route together, Secret Moon Cake (5.10 R, 760m) on China's Eagle Peak East (5300m), and made the first ascent of Mt. Dayantianwo (17,126 feet), also in China. Yi wrote a feature story for Alpinist 63, titled "Ride the Wind," about a project to enchain 43 summits in Wyoming's Wind River Range. 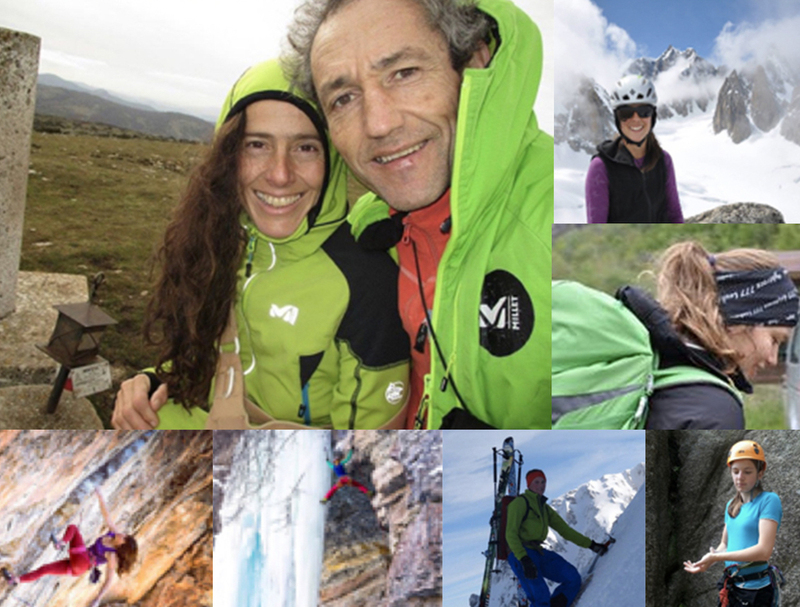 Sonia Casas Torcida and Mikel Zabalza Akona (both of Spain) received $2,000 and will try a new route on the west ridge of Chobutse (6685m) in Nepal's Rolwaling Valley. In 2015, Mingma Gyalje Sherpa of Nepal put up a new route during a solo ascent of the peak, which is also known as Khang Tagri. Beth Goralski and Mary Harlan (both of the US) will attempt a new route on Mt. Marcus in British Columbia's Waddington Range. They received $1,000. Harlan is an AMGA-trained rock, ice, snow and ski guide, and Goralski is a professional climber. The Apprenticeship Award is for advancing alpine skills and independence. Two thousand dollars was awarded to a team of young Swiss alpinists: Florence Nikles, Anne Flechsig, Rahel Schonauer, Lisa Pfalzgraf and Ramona Volken. They'll head to Kyrgyzstan's Peak Granitnyj (5278m). Past expeditions supported by the grant since it started in October 2016 have resulted in the first ascents of three peaks and two new routes. According to the Grit & Rock press release, the judges hope these journeys will inspire applicants for next year's awards. For more information about the First Ascent Award, visit the Grit & Rock Facebook page, www.gritandrock.com/award or contact the organization by emailing award@gritandrock.com.